We are loving these throwback liveries. 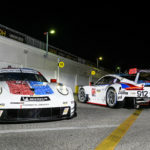 Porsche's modern liveries are rather understated; the typical black, red, and white schemes used today are far less vivid than schemes of the past. 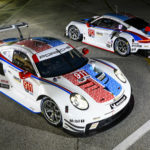 Porsche began using throwback liveries on the 911 RSR last year, with the Truffle Hunter and Rothmans schemes debuting at Le Mans. For Petit Le Mans in October, the throwback liveries came from the brand's 1990s GT1 effort. 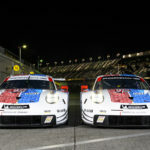 Now, for this weekend's 24 Hours of Daytona and the upcoming 12 Hours of Sebring, Porsche is sporting the livery of some American Porsche legends: Brumos. 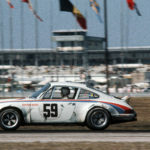 With four victories at the 24 Hours of Daytona, Brumos Porsche was one of the most successful teams in the history of the event. 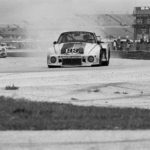 The team's first wins came in 1973 and 1975 with Hurley Haywood and Peter Gregg with a 911 RSR. 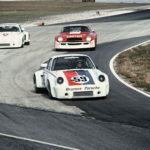 In 1978 Gregg won the event again, this time alongside Rolf Stommelein and Toine Hezemans in a 935/77. 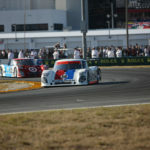 The team's final Daytona win came in 2009 with a Porsche-powered Riley. With 48 IMSA wins and no less than 15 championships, the team's red, white, and blue scheme has been a symbol of success for decades. The most recent title came in 2011 with Andrew Davis and Leh Keen in a 911 GT3. Brumos' racing operations initially ceased in 2013, and following Daytona and Sebring in 2015, Brumos' racing operation closed for good. 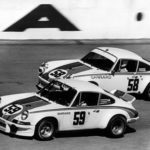 The two RSRs entered in the Sebring and Daytona races will carry numbers 911 and 912, carried over from last year. 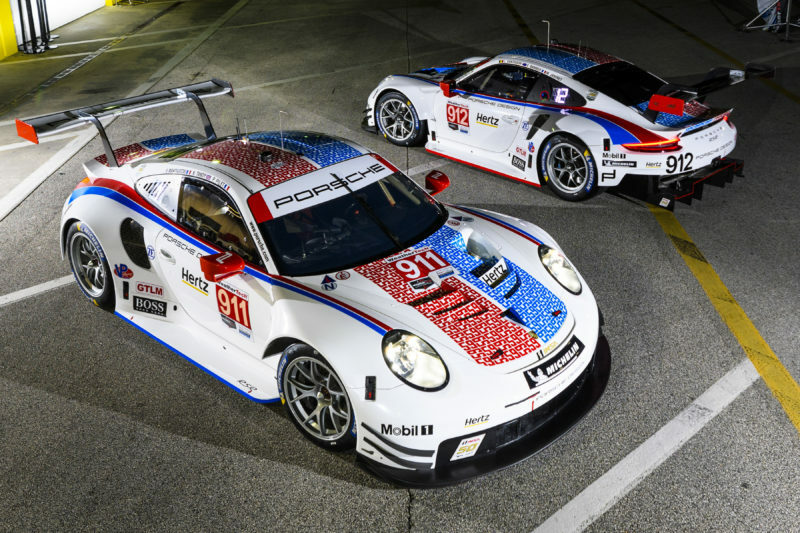 Car #911 will be piloted by Patrick Pilet, Nick Tandy, and Frederic Makowiecki, and #912 will be driven by Earl Bamber, Laurens Vanthoor, and Mathieu Jaminet.